I know it's been said before but, I want to say it again. Mark and Scott, and the rest of the crew at 914rubber.com, are stand up guys. There customer service and customer appreciation is very high. Thanks for everything you guys have helped me with so far. Here, here! Or, there, there! I'll pass this on to Scott as he's not in the forums. He's really my right hand man. Can vouch. The support given to the community really can't be topped. Yep! Placed an order today as I was trying to figure out why my alt was not going all the way up to get the belt on/off cleanly. Ended up ripping the boot trying to take it off, it needed replacement anyway. This was going to slow my rebuild, but these guys shipped one out today so I should get it Wednesday. I purchased 2 black rubber targa hold downs last year and out of the blue 5 months later, they sent me two more free with a note saying these are the improved versions. Who else does this?........nobody. Gonna go ahead and third or tenth that. Just got a package from 914rubber with two Euro foglight lenses. Shipped quickly, packed well, arrived safely. Mucho ditto to all the above. I think I was one of the first customers, back with a complete weather stripping and front/rear hood seals. Awesome folks, with great products (fit EVERY time) and wonderful service. 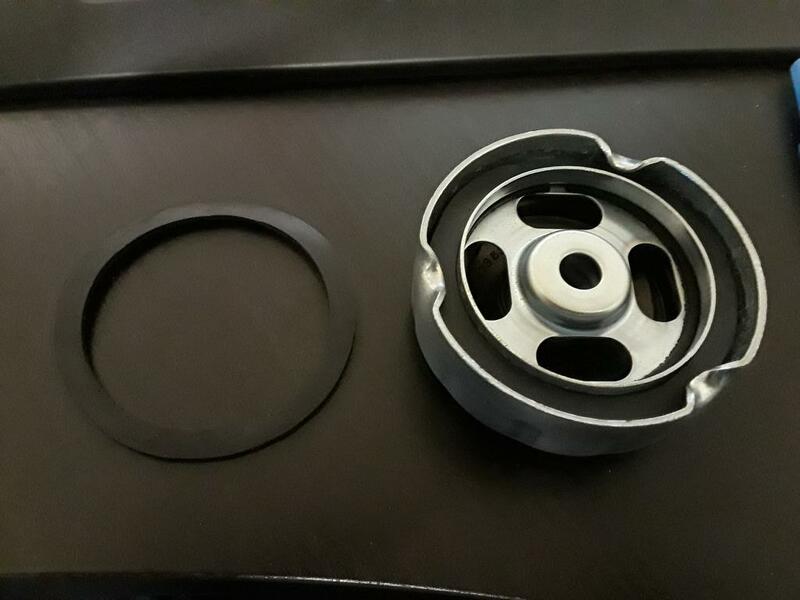 Just one suggestion: make the lower oil cap gasket (022-115-315; really big rubber washer thing) - can't find new ones anywhere! Tell me more. I probably can. This one inside the cap? THe rusty one is an original VW Beetle cap. The shiny one a VW repro. They are still available. Not tried it on a tank but have heard that some have too stiff a spring that causes the flat gasket to get torn up. will try the fit on a tank and reports back. Already made them in rubber. The paper tears when you try to install. I can do in the "correct" material if you wish, but they are not easy to install. Just one suggestion: make the lower oil cap gasket (022-115-315; really big rubber washer thing) - can't find new ones anywhere! He said the lower oil cap gasket. I think he means the one where the oil screen cover sits on the bottom of the motor... maybe... StarBear? Is that an o-ring? 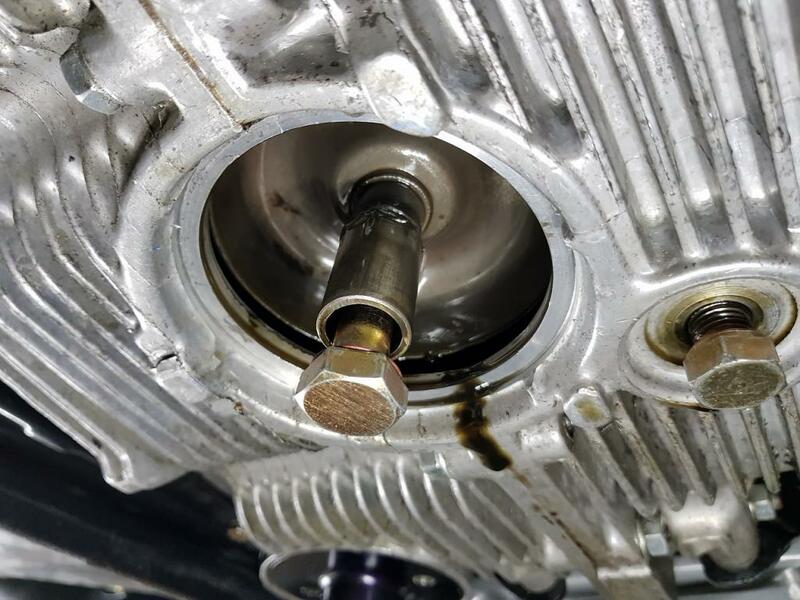 Oh wait, not an o-ring. I have no idea. The oil FILLER cap gasket? The famous "710" cap. I think the OP means the rubber cup shaped part down below the metal parts. To get them out you need to uncurl one of the three crimps that hold the cap together. If you are that far you might as well get anew cap. They are the same as a VW Beettle cap. They may not be good quality. will try the one I have to see how if fits.